On September 20th, 2018 the U.S. Food and Drug Administration Center for Veterinary Medicine (FDA-CVM) issued an update on the label of all oral products containing Isoxazoline for flea & tick control. This is not new information as all products effective against fleas & ticks must be used with caution. The newer, more effective oral preventative is not advised for patients with seizure disorders or other central nervous system diseases. We strongly advise discussing any medications with our staff and doctors to access your pets’ individual risk. We also advice purchasing all flea & tick products through official veterinary practices, to ensure the product you receive is what is what is on the label. This ensures the products are backed by the manufacturer and you are eligible for all the guarantees and support they provide. Lastly, as your primary veterinary care specialist, we want to know if your pet has had any adverse reaction to any product or medication we have prescribed. 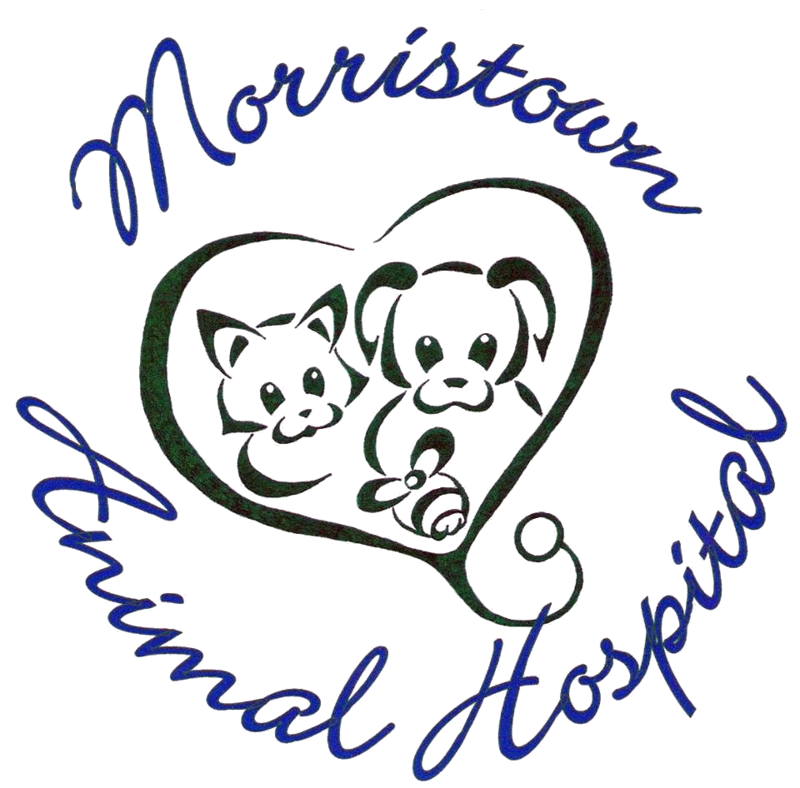 As always, we are here with any concerns you may have regarding your pet's health. 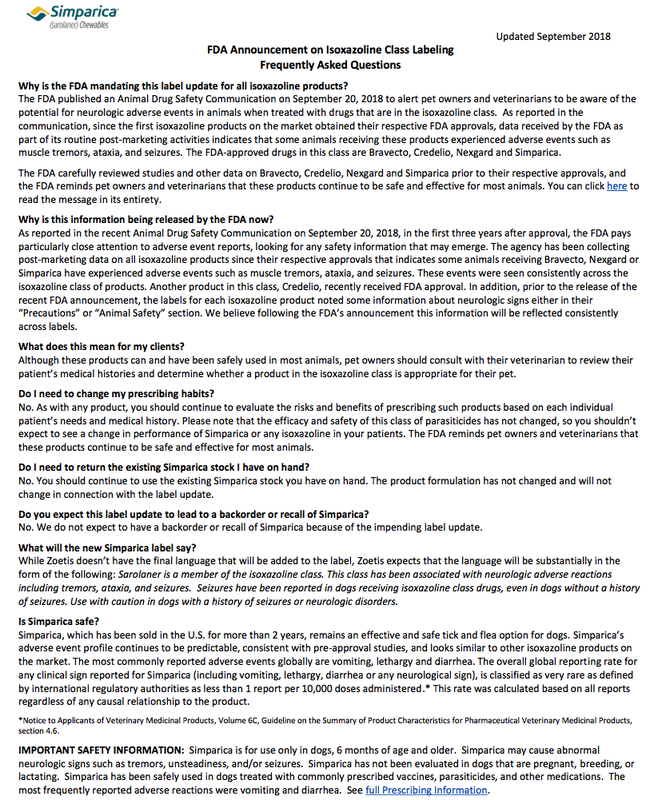 Please see below the FDA link to Isoxazoline label advisory as well as the Common Questions letter from Zoetis the manufacturer of Simparica.